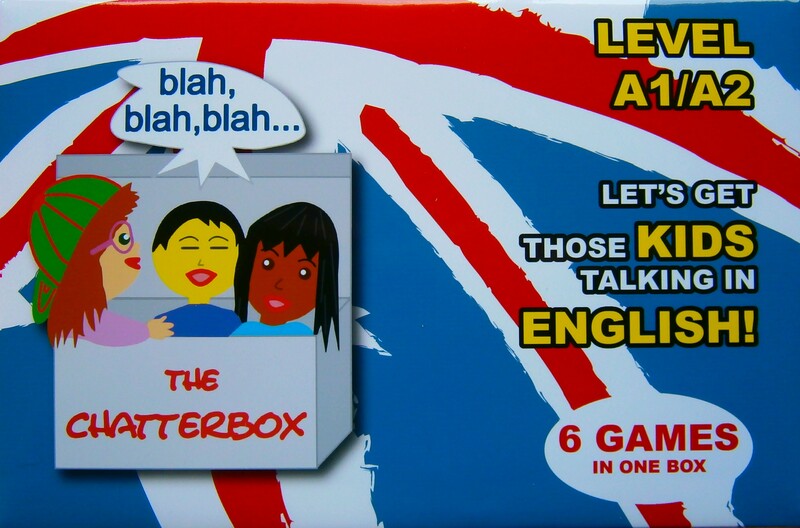 The Chatterbox was developed for children who have had 100-200 lessons learning English. The aim of the game is to learn and especially to practise some of the basics of the English language in a playful way - in short, having fun! The games focus particularly on Oral Skills (speaking and listening). For groups, the games allow and encourage talking among the players. Perfect for EFL students. Contents: 6 games covering larger numbers, spelling, family and relationshops, describing people's faces, questions and answers, and instructions. Cards and instructions.